This adorable creation has been sculpted of recycled solder, portraying a frog as a delightful little incense holder. Representative of prosperity and otherwise simply being a delightful decoration, it is a wonderful addition to any altar or home. 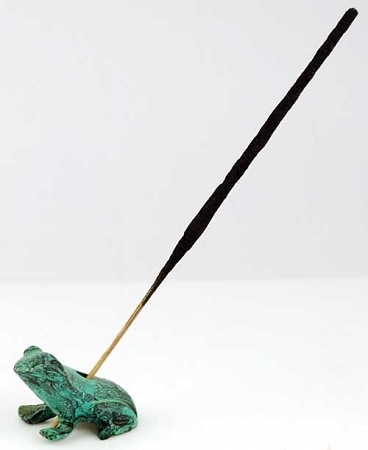 This frog shaped incense holder measures approximately 1 1/2 inches long and 1 inches wide.